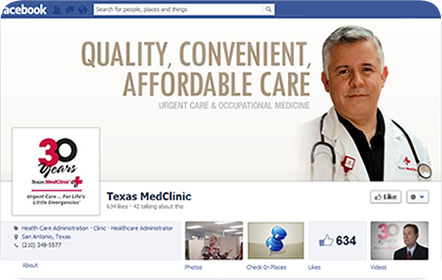 Texas MedClinic offers the best medical services to the public at an affordable price. With locations in San Antonio, Austin and New Braunfels, Texas MedClinic has been one of the leading clinics in central Texas since its foundation in 1982. 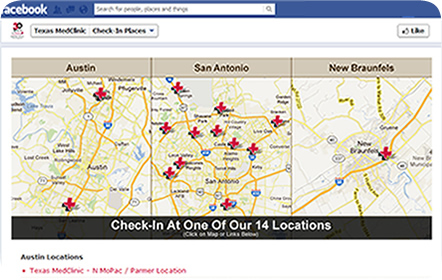 Part of their set-up included making business pages for each of their locations. Every page includes a custom cover with a photograph of their respective clinic, their exact location accessible through the maps feature and phone numbers. By each page having their own information, Facebook users on a mobile phone can contact the right clinic while users on the website can immediately distinguish one location from another. 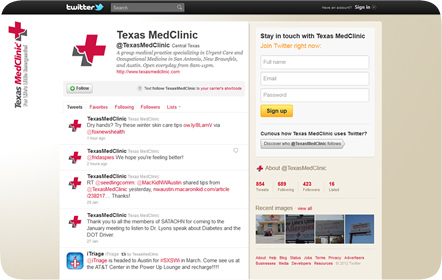 To keep in touch with their audience, Texas MedClinic asked us to set up and brand their Twitter page, so we designed a custom background for them and an icon of their logo. 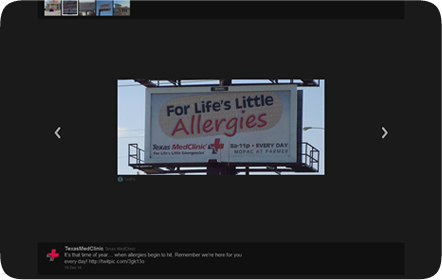 They’ve actively used their Twitter account to tweet about their clinics, medical articles and they even reply to other users who mention Texas MedClinic.